You don’t have to be an interior designer to know that hardwood flooring is all the rage. And, while it has been a staple in the flooring industry for hundreds of years, it can get expensive to install and maintain. Fortunately, there are a number of more inexpensive flooring solutions that not only offer the same beauty as hardwood, but are easier to pay for! This type of flooring recreates the beauty that hardwood flooring creates with half the cost. Unlike wood, bamboo is a fast growing plant which can be cut down and regrown from the same plant over and over. So, it usually costs much less than hardwood flooring options. And, not only is it more affordable, it’s easy to maintain and keep clean! When most people think of laminate, they imagine cheap, temporary flooring which tries to match the beauty of hardwood but fails to compete. But, laminate nowadays is actually quite breathtaking while still allowing for low cost and maintenance. Laminate can be made from reused materials like wood and stone to provide unique looks you may be surprised to find. And, most people find that they can install laminate themselves, additionally cutting installation costs. Porcelain is a highly durable and inexpensive material that can be shaped to any shape, comes in many colors, and is made to mirror a number of different materials (including wood!). While tiling may only be ideal in your home for specific rooms, they are a beautiful and not-so-expensive option to consider compared to the materials they can mimic. Plus, run a mop over them and they get clean! You don’t have to worry about scrapes, spills, and other maintenance issues! Vinyl flooring, once a thing of the 80’s, is making a comeback. That’s because the wood floor lovers of this world wanted a more affordable solution to hardwood flooring. Wood-vinyl plank flooring is a great solution if you want the look of hardwood flooring without the price. While it’s at risk for scrapes because vinyl is a more permeable material, with care, you’ll be able to fool even your most proper guests into thinking your home is covered with real wood flooring! This type of flooring is a new hit. Because of its unique texture, this floor provides a unique and warm look that no other flooring can offer. Other benefits of cork include insect, mold, and mildew resistance, making it a long-lasting choice. But, because cork is porous and soft, it can be scraped and bruised. So, choose cork flooring for an area of the home which receives less traffic. Choosing One of these Inexpensive Flooring Options? 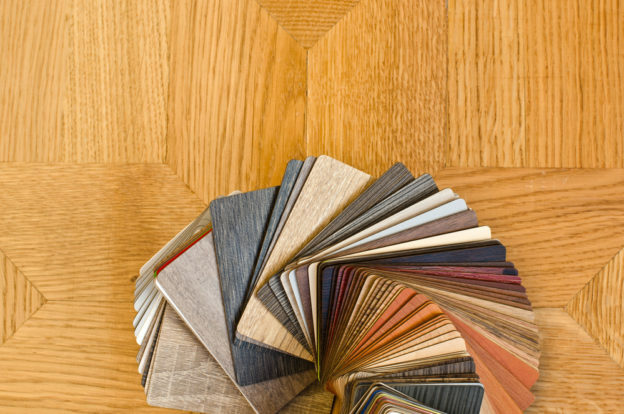 Looking for inexpensive flooring options for your home or place of business? You’ll need your old floors removed before you can start with your new project! With Dustbusters, you’ll get your flooring professionally removed as little as a few hours, and we take care of everything! That includes demolition and trash removal! Plus, our innovative, dust-free system allows for a no-mess floor removal process so that you can get back in your home and won’t have to worry about harmful dusts. If you need help removing your old flooring so that you can install one of these inexpensive flooring options, give us a call today at 866-883-8783!